So you have decided to go in for higher education in business and management. Good call! Now, you’ve got to figure out which of the zillion available courses you want to do. Even after you have narrowed down your field of interest to business and management, there are still too many options to choose from. It is very important to choose the right course to fit your needs and your profile. If you don’t, your chances of getting an admit will reduce drastically. Unfortunately, even if you do get into a course you aren’t apt for, it will not help you and you will end up wasting invaluable time and money. If you’re looking to understand the differences between MIM and MBA to figure which one to choose for yourself, you’ve come to the perfect place. What is the MIM course? What is the difference between MIM and MBA? What is the salary difference between MIM and MBA? Can I do an MBA after MIM? In this article, we will answer all these questions and give you all the information you will need to know if you should go for MIM or MBA. MIM stands for Master’s in Management. It is a postgraduate degree course that typically takes about two years to complete. It is a relatively new course as compared to the MBA which has been around since quite a long time now. The MIM postgraduate degree is mainly academic in nature. It involves the study of management theories and a fair amount of quantitative analysis. As the name of the degree suggests, the main focus of its study is on management and not on business as a whole. As such, it is a more nuanced and more academically rigorous course than most other management courses. Students with an academic background in science or STEM fields tend to do well at MIM. This is mostly because MIM involves dealing with complex theoretical concepts and, as stated before, quantitative analyses, which are both common features of STEM studies. Now that we have a rough understanding of the MIM course, let’s move on to the next question. There are many differences between MIM and MBA – not all very clear. So, let’s compare a few examples. GMAT: Mandatory. Average 707. GRE accepted. GMAT: Mandatory. Minimum 600. GRE accepted. GMAT: Mandatory. Average 710. GRE and Tage Mage accepted. GMAT: Mandatory. 600+ preferred. GRE and Tage Mage accepted. GMAT: Mandatory. Average 700. GRE accepted. GMAT: Mandatory. Middle 80% range 560-740. GRE and Tage Mage accepted. Since MIM is a fairly new addition to the unending list of postgraduate degrees in management, you may not find readily available information regarding some of these factors. Pay close attention to #3 and #7, they matter more than you may think! As hinted above, the MBA has a hands-on, managerial kind of perspective while the MIM takes the perspective of an observer or analyst. This means that an understanding of real-world dynamics is more important for an MBA than for MIM. Professional work experience is therefore far more important for an MBA than it is for MIM. While almost all MBAs have a minimum professional experience requirement, MIMs don’t need any. In fact, most MIM students have a maximum of one year of work experience before they begin studying for their MIMs. The MIM is meant for fresh graduates with little to no work experience, which is an audience that hasn’t worked for long enough to have sizeable financial reserves. On the other hand, MBA aspirants usually have at least a few years of work experience under their belts. So, on average, MIM fees tend to be lower than MBA fees. The tools used to teach MBA students are similar to those used with MIM students, but the way they’re used is slightly different for each of these. Both courses have a general overview of management topics, both use case studies, both foster teamwork and both simulate real-life scenarios to help students learn in a more involved, experiential manner. For example, MIM students are likely to have an overview of management topics to help them understand how a business environment would work in real life so that they know what to expect. MBA students study the same so that they can learn what they should do when in similar situations. This may seem like a trivial issue to hold as a difference between the two degrees but it has a rather huge impact. To put things in perspective, the average age range of MIM students is usually 23 to 27 years of age while the same for an MBA is 27 to 32 years. The implied meaning is that the target audiences for both these degrees are vastly different. Therefore, these degrees are not competing against each other, they’re fairly exclusive in their own rights. This is probably the biggest of the differences between MIM and MBA. The two courses come with very different intentions and therefore prepare students for different things. The MIM curriculum is highly academic in nature, with an intention to train academicians. This means that it involves a lot of mathematical calculation and theoretical analysis. The MIM tests your ability to handle data, deal with quantifications, research and to understand, recall, and accurately use theoretical knowledge. An MBA, on the other hand, requires you to build on your existing business acumen. It is significantly more practical in its approach since the intention is to create managers and leaders in business. It has a higher emphasis on the development of soft skills and your ability to work with people. MBA does not test raw knowledge; it is more about how you use what you know. MBA colleges lay heavy emphasis on entrance exams such as GMAT and GRE. Although around 40% of the institutions offering MIM have also started taking these scores into consideration, previous academic performance and the score earned on the latest degree holds more weight. Furthermore, MBA programs are open to candidates from all walks of life. MIM programs are much more specific than that. Roughly one-third of the world’s MIM programs only accept students with a business or economics undergraduate degree. Of the remaining two-thirds, some are open to such students as well as those from other backgrounds that involve strong methodical structures (for eg. psychology, anthropology, or physics). Some accept students from all backgrounds, like MBA programs, and some others look specifically for students who don’t have degrees in business or economics. MIM is a relatively new field of education, which casts shadows on the abilities of those who hold this degree. On the other hand, MBA graduates are looked upon with high regard because the degree itself is quite popular and has been around for a long time. In addition to this, MBA graduates are generally older, more experienced people somewhere in the middle of their careers while MIM graduates are freshers for all practical purposes. The two groups of graduates tend to look for very different kinds of jobs in terms of job descriptions as well as positions in the hierarchy. All in all, you can safely say that MBA and MIM are not alternatives to each other. Even though both courses deal with business and management in general, they are very fundamentally different from each other in nature. Let’s dive further into discovering MBA vs MIM salaries. Salaries are based on many factors, the most important of which are education and work experience. As noted before, MIM graduates tend to be younger, with lesser or no work experience at all in comparison to MBA graduates, who generally have at least three years of work experience before opting to get an MBA. Naturally, post-MBA salaries are higher than post-MIM salaries. The real test is to do a more balanced comparison, using weighted salaries. Weighted salary means the average salary earned by alumni three years after graduating, at US$ PPP equivalent, with adjustments made for variations between multiple sectors. It presents a much more balanced image than the comparison of direct numbers. According to the Financial Times 2017 Rankings, even when weighted salaries are compared, MIM graduates from the top 10 B-schools earn $75,000 to $81,000 less than MBA graduates. Clearly, the MBA has a sharp edge over MIM in terms of salary. Now, here is the answer to the final question in this matter. Can I do MBA after MIM? Well, you most certainly can go in for an MBA after MIM. Depending on why you want to do an MBA, your MIM degree might play to your benefit. The one thing you can be certain of is that you will have to do more than your competitors to get into an MBA after MIM. When Admission Committees, or AdComs as they’re called, look at your profile and MBA application, they expect many things. They want to know if you know what you’re looking for, if their course is likely to give you that, and if you will be a good addition to the batch. Your MIM degree is likely to turn that last point in your favor but you still have to prove the first two points strongly enough to beat your competition. With an MIM degree in your bag already, you may look like you don’t need the MBA; you may not get admits. Every MBA Application will ask why you want to do an MBA and what your post-MBA goals are. As an MIM graduate, you will need to be clearer and more specific about exactly what you want as compared to the others. The reason is that the AdComs will expect you to have a better understanding of management and business, allowing you to know the nuances of what you’re after. In these ‘Career Goals’ and ‘Why MBA’ sections of your applications, make sure you write clear, coherent and compelling answers. Be as specific as you can about what you want, why you want it, and how you think an MBA will help you achieve it. There isn’t enough data on the Internet to help us figure out whether an MBA after MIM will help fetch you greater salaries as compared to MBA graduates who don’t hold an MIM. In time, such data may reveal to us the true value of an MIM as far as an MBA goes. All in all, you can safely say that a comparison between MBA and MIM reveals the two to be very different from each other; that they are not substitutes for each other and should not be considered as such. Each one of these two postgraduate degrees has its own set of pros and cons. Each requires a unique kind of profile for success in the respective fields of study. Each hones a distinct set of skills and requires a separate set of intrinsic traits. MIM and MBA cannot be compared to each other because they share almost nothing in common except for being business and management degrees. Data Science is the new engineering. Honestly. This is a field that is so humongous and still ever-growing, that new data measurement terms are constantly emerging: petabyte, exabyte, zettabyte, yottabyte… There is no end to it! Trying to draw meaningful business insights from the pure chaos of collected data is like looking for a needle in a haystack. An MS-Business Analytics graduate is the one who saves the day by bringing a magnet to do the task. It trains you to not only understand and organize data but also to know enough about business to differentiate what matters from what doesn’t. You will be the one to drive critical business decisions with 100% verifiable evidence in data. You will be completely aware of exactly how wrong your decision can go, too. Can you imagine, then, what an MS Business Analytics salary must look like? Trust us, it’s likely to be higher than you’re thinking. Of course, right? They’re all about Business Analytics! They must be the same thing! Well, not really. MS Business Analytics and Masters in Business Analytics are one and the same, but together, they’re very different from an MBA in Business Analytics. The biggest and most critical difference between MBA and MSBA is the expected academic background. An MBA, no matter the specialization, is a business-centric course. It requires candidates with experience or interest in business and management. On the other hand, a Master’s in Business Analytics is a data-centric course. It needs a strong academic background in mathematics, statistics and/or computer science. An MBA can handle the needs of students without a business background even though business is the main focus of the course. Conversely, a Master’s in Business Analytics cannot compensate for the lack of an academic background in mathematics and statistics. It is designed to build on the student’s existing knowledge. In MSBA, you will study data structures and models to organize and manipulate large amounts of data. You will learn and conduct research into ways to handle and process data in order to extract actionable intelligence from it. MBA in Business Analytics will teach you various ways to use this actionable intelligence to bring about the best results for your business. A Master’s in Business Analytics teaches you to handle data first-hand and to use it to run a business, while an MBA (Business Analytics) only does the latter. The best way to figure out whether any given degree is worth it is to check the way it impacts salary. If it boosts your earning potential, it’s worth giving it a shot. At present, Master’s in Business Analytics is topping most charts in terms of maximum value added. Here are the top ten careers and average annual salaries you can expect post-MSBA. As a pricing and revenue analyst, you will be expected to perform two basic functions. One will be to analyze pricing trends and the other will be to analyze revenue trends. Ultimately, you will be expected to provide fact-based advice on how to drive the pricing strategy. Market research is critical for every aspect of running a business. As an analyst, your primary job will be to provide insights and advice on what products and/or services the business should offer, based on market demand and supply for each. You may also be expected to provide feedback on how to differentiate the products and/or services provided by the business. Speed is the most critical part of this profile. Of course, accuracy and reliability also matter, but speed takes center stage when you’re dealing with big data. The main responsibility of this profile is to quickly analyze large data sets and provide actionable insights. If you prefer working with hard data and focusing on analyzing it rather than dealing with people and helping them understand the data, this is the perfect job for you. As a Data Analyst, you will work with massive volumes of cold, hard data that holds the key to many powerful business insights. It will be your job to find this key by organizing, processing, and analyzing this data. How good you are at doing this will determine how useful the insights you provide will be to the business. As an operations research analyst, your main focus will be on identifying avenues for improvement within the organization’s operations. Both administration- and delivery-related operations will fall under your purview. You will be expected to use data to point out inefficiencies and suggest ways to resolve the problem. A management consulting analyst has three main aims: reduce costs, increase revenue, and improve efficiency. In this role, you will be expected to examine company data to identify problems that keep you from achieving any of these three aims, and then propose managerial solutions to help overcome them. Your sole goal as a business intelligence analyst is to maximize company profit. The data you will be dealing with can encompass the past as well as current conditions within which the company operates. Using this data, you will be expected to provide advice on how to increase your company’s profits. This role requires a certain creative flair, because of which you may face competition from unexpected quarters. The edge you have over other candidates who don’t possess an MSBA is that you are capable of harnessing insights from available data to ensure you hit the exact mark required to achieve the company’s goals. If you have a creative bent of mind, this could be the perfect job for you. Data is everywhere in today’s age of information. A person who can not only handle data but also help others make sense of it is called a magician Data Scientist. If you have a strong command over computer science, you can work with data by organizing, analyzing, and presenting it using software. You will also be expected to facilitate data visualization by presenting data in graphs and charts, making it easier for non-scientists to understand the underlying message. These are only a handful of prospective business analytics careers that you can take up after completing your MSBA. Keep in mind that this is still only the beginning – this field is just starting to take hold around the world, so you can expect this list to grow even further by the time you graduate! A postgraduate degree boosts your earning potential either because it adds value to your knowledge or because it acts as a signal to potential employers about your capacities. A great program is one that does both. MSBA Programs in the US must consistently meet certain basic and rigorous standards in order to maintain their STEM designation. A designation given by the US Department of Homeland Security, STEM allows the students of a designated course to work in the USA for nearly three years after graduating, without needing an H1B visa. Here is a list of the best STEM MS Business Analytics programs in the US. The list is arranged according to MSBA rankings for your convenience. MIT is the world’s leading institute when it comes to the STEM fields, so it is no surprise that it would top this list. The MS Business Analytics offered by MIT’s Sloan School of Management is run under the guidance and leadership of the MIT Operations Research Center. A 12-month course, this is designed for current students or fresh graduates who want to pursue a career in data science. It is especially recommended for students with an academic background in engineering, mathematics, physics, and computer programming. A highly accelerated, highly specialized course in business analytics, the McCombs MSBA lasts only for 10 months. Don’t let the duration of this course deceive you into thinking it will be easy. This program has also been hailed as the world’s #2 program in this category. McCombs remains one of the country’s most consistently top-ranked B-schools, making this program all the more credible and attractive for students looking to pursue a career in data science. Yet another highly reputed institution, the University of Southern California’s Marshall School of Business offers a flexible two-year program that students can expedite and complete within 12 months, too. This program offers highly specific training in the analysis of big data, including statistical modeling, data management, visualization, information security, optimization, and decision-making under uncertainty. The MSBA focuses on equipping students with directly marketable and highly useful skills like effective data presentation. The University of Maryland’s Robert H. Smith School of Business offers a flexible two-year MS Business Analytics program in the US that students have the option to finish within a single year as well. There is a strong focus on cybersecurity, information systems, supply chain and transportation, social media and web analytics, forecasting, and quantitative analysis in this program. This course provides students with the option to specialize in highly specific fields that are gaining momentum in the market today. The University’s partnerships with companies like Deloitte, KPMG, and Unilever give students a strong edge over their peers. Conducted at the University’s Hartford or Stamford campuses, this course can be done full-time as well as part-time. It features five required courses under business analytics, namely, Business Process Modeling and Data Management, Predictive Modeling, Business Decision Modeling, Data Mining, and Business Intelligence, and Statistics in Business Analytics. The Project Management part includes four required courses: Introduction to Project Management, Project Leadership and Communications, Project Risk and Cost Management and Advanced Business Analytics and Project Management. There is a great variety of optional subjects and electives for students to pick from. The program requires a total of 37 credit hours, including one credit hour in technical communication. This program is a one-year full-time course that requires 45 credits to be completed. What sets it apart from most of the other MS Business Analytics courses, however, is that it involves experiential learning from the get-go. Given its tie-ups with companies such as PwC, the University of Minnesota affords consistent live case studies for the students of its MSBA course. This course has been ranked within the top five courses of its kind in the country by US News as well as QS World University ranking. 100% of the graduates of this program received recruitment offers within 90 days of graduating in 2015 and 2016. The Purdue Krannert MSBAIM has very high academic standards. It lasts for 11 months and begins with a summer session. The program offers MBA holders an option to request waivers for Business Foundation courses if they have studied them before, allowing them to fast-track their way through the program. The program requires a minimum of 36 hours of coursework to be done, with subjects divided into 4 categories: Core Courses on Techniques and Technologies, Foundational Courses in Functional Areas, Restricted Electives on Information Management and Analytics, and Free Electives or Immersion Electives. The one-year full-time Master of Science in Business Analytics course offered at the UC Davis Graduate School of Management is located in the very heart of the San Francisco Silicon Valley. This course opens doors to collaborations with a variety of Silicon Valley companies that are at the forefront of the Big Data revolution. This program focuses on honing students’ core competencies in business, data management, and analytics by encouraging constant practice. The School features an Industry Advisory Board which partners with the academic team to keep the course content relevant and up-to-date. This is only a list of the best MS Business Analytics programs in the US. There is a multitude of programs available in Australia, Canada, and across Europe, too. Since you can safely expect a decent post-MS Business Analytics salary, the cost of programs anywhere in the world should not be a problem. At CrackVerbal, we help thousands of students with their MS applications every year. We understand the challenges of choosing the right school and going through the rigors of applying to your chosen set of schools. From figuring out which schools they should apply to, to actually putting the applications together – we are with you from beginning to end. You can reach out to us for help to apply for any of these courses as well as any other Masters in Business Analytics. This should sum up everything you need to know about MSBA, but we’d love to hear your feedback on this article. Was it helpful? Did you find anything lacking? Let us know in the comments! This blog discusses the best MIS Programs in the US. A private, global research university, Carnegie Mellon stands among the world’s most renowned educational institutions, and sets its own course. Carnegie Mellon consistently ranks in the top 25 in the national U.S. News & World Report rankings. It is home to the world’s first degree-granting Robotics and Drama programs, as well as one of the first Computer Science departments. The University of Arizona (UA) is a public research university located in Tucson, Arizona, United States. UA is a place without limits—where teaching, research, service, and innovation merge to improve lives in Arizona and beyond. Recognized as a global leader, the UA is also a leader in research, bringing more than USD 606 million in research investment each year, and ranking 20th among all public universities. Texas A&M opened its doors in 1876 as the state’s first public institution of higher learning. Located in College Station, Texas, A&M’s main campus is home to over 59,000 students, with more than 436,000 former students worldwide. With more than 130 undergraduate degree programs, 170 master’s degree programs, 93 doctoral degree programs and 5 first professional degrees as options for study, Texas A&M is full of possibilities. Founded in 1820, Indiana University Bloomington is the flagship campus of IU’s eight campuses statewide. Their diverse academic programs are among the best, with several ranking #1 and in the top 10 nationally. They’re also known for innovation and firsts such as establishing the nation’s first informatics school. UB is a premier, research-intensive public university dedicated to academic excellence. Founded in 1846, it is a flagship institution in the State University of New York system, UB is the largest and most comprehensive campus in the 64-campus SUNY system. It is a member of the Association of American Universities. Nearly 11 percent of UB students study abroad and it has exchange programs with more than 75 universities around the world. Founded in 1831, New York University is one of only 60 member institutions of the distinguished Association of American Universities. From a student body of 158 during NYU’s very first semester, enrollment has grown to more than 50,000 students at three degree-granting campuses in New York City, Abu Dhabi, and Shanghai, and at study away sites in Africa, Asia, Australia, Europe, North and South America. The University of California is a public research university located in Berkeley, California. It is considered by the Times Higher Education World University Rankings as one of six university brands that led in world reputation rankings in 2015. The university is also well known for producing a high number of entrepreneurs. UC Berkeley offers approximately 350 undergraduate and graduate degree programs. Syracuse University (SU) is a private research university in Syracuse, New York. The campus is in the University Hill neighborhood of Syracuse. SU is organized into 13 schools and colleges, with nationally recognized programs in information studies and library science, architecture, communications, business administration, etc. SU is also a member of the Eastern College Athletic Conference. The University of Maryland, College Park, is a public research university located in the city of College Park in Prince George’s County, Maryland. Founded in 1856, the university is the flagship institution of the University System of Maryland. With a fall 2010 enrollment of more than 37,000 students, over 100 undergraduate majors, and 120 graduate programs, Maryland is the largest university in the state. In this article, we will discuss the various ways in which you can fund your MIS. The average fee for MIS programs is close to USD 45,000 for a two-year program, which is approximately INR 30 lakhs. The cost of living for two years would come up to USD 24,000, which is approximately INR 16 lakhs. With airfare costs, your GRE and TOEFL fee, and application fee, the average cost would be around USD 70,000. In Indian rupees, the total average would be close to INR 48 lakhs. Did these numbers just make you wonder if your MIS dream is achievable? There are ways you can manage your finances and make your dreams come true. There are several schools in the US that provide generous aid to international students. Most schools offer scholarships and grants to qualified and deserving applicants. Apply for financial aid when applying to the college. If you’re lucky, you could be granted full tuition fee, although this is rare to find. International student loans cover the costs of tuition, room and board, books and supplies, personal expenses, and transportation. The good thing about these loans is that typically, no collateral is required. On the flipside, it is mandatory that you have a cosigner who is a US citizen or a US permanent resident in order to get your loan approved. You can check here to see if your choice of school is eligible for international student loan. If you cannot find a cosigner who is a US citizen or US permanent resident, there’s an alternative. Global Student Loan Corporation provides loans for non-US students to study in the US. Your cosigner doesn’t have to be from the US, and no collateral is required. Credila Financial Services is another organization that provides loans, provided you have a cosigner from India. The Human Resource Development Ministry lists national and external scholarships offered to Indian students aspiring to study abroad. You can check if there are any that match your needs. You can also check International Scholarships, a forum where institutions post awards and scholarships they offer to international students. You can browse through the site and find merit-based awards, scholarships, or fellowships. There are several platforms that will provide you with financial aid. Here’s a tool that will help you find scholarships based on the program you want. Also, don’t forget to check, and apply for scholarships at the school you are applying to. You can get an on-campus job that allows you to work for up to 20 hours a week while you are a student. The usual pay ranges from USD 6 to USD 12 per hour. This job will cover your living expenses during your study. However, this can be taxing, especially if you choose something physically demanding, like working in the cafeteria. Keep in mind that every hour of your education is valuable, and try to pick a job that will help with a certain degree of skill development. You can get financial aid from the college by doing an assistantship. An assistantship is a kind of part-time on-campus job. Most American universities that offer assistantships provide USD 5,000 to USD 20,000 per annum. Teaching assistantship (TA) involves assisting a professor in teaching sections of a course, grading papers of undergraduate students, or running laboratory sessions. To get a teaching assistantship, you should have already taken the same or similar class with a good grade, or you must have had prior work or research experience in the subject. Research Assistantship (RA) requires you to assist a professor with his or her research. If you plan to pursue an academic career in research and enjoy tasks like data collection and analysis, writing literature reviews, and preparation of reports and articles, a research assistantship would be great for you. Again, you may be required to have an undergraduate degree in that subject. Examine all these possibilities and choose the one that will suit you the best. Let’s make a few guesses about you, our reader. Whether it be to kick-start your career with more ammo, enhance your career prospects, or switch tracks, you’ve decided to pursue a master’s degree. If you’re like most students we’ve known, you probably have a good understanding of how an MS or an MBA will educate you, but you’re not too sure when it comes to the Management Information System (MIS) program. You’ve heard many different descriptions, but they all boil down to this oversimplified sentence – An MIS is in-between an MS and an MBA. Now, what on earth does that mean? We’ve written this blog to clear the mystery surrounding the MIS program and help you decide whether this is the degree that will meet your needs! • You enjoy working with technology, but cannot see yourself writing code for the rest of your life. • You have a gut-level passion for technology, but ALSO have an inclination for high-impact business, and you find it difficult to choose between your two interests. Well, read on! In this blog, we cover all aspects of the MIS program – such as what the curriculum comprises, what career paths will open to you as an MIS graduate, how you can get into a good program, and how you can finance your studies! What is an MS in Management Information System? Remember the layman definition ‘something between an MS and MBA’ that we discussed in the introduction? Well, a more accurate description of the MIS program would be that it is geared to teach you skills that relate to the intersection of IT and business. MIS is the application of computer related technology to managerial programs. With a Master of Science (MS) in MIS, you will acquire foundational business knowledge with courses focused on Information Systems. On graduation, you will be ready for jobs that require you to identify problems and leverage technology to develop solutions for your business problems. The management of IT systems is considered a business function because of the impact of information technology on businesses, and is therefore offered by Business Schools in various universities. It is also offered by specific schools of Information Studies. In other words, it is a core business program with engineering electives. Most of the programs can be completed in 18-24 months and require 33 credit hours of coursework. Some universities may require you to complete a thesis during the course of the degree. Like the Master’s in MIS, there are other integrative courses that combine technology and business. Don’t let this list worry you! All these courses have similar curriculums and are just variations of offered through different names in different schools. What does the MIS Curriculum Comprise? Also, within the Management Information System world, you will have certain programs that are more suitable for students with a strong background in information technology who want to advance to a management position. There are also other programs which better suit business professionals who want to utilize information technology in their management practices. When you begin to consider various schools, look through their course curriculum to see whether they have a heavier component of information technology or business! What kind of people will you come across in an MIS Program? In an MIS class, you will find students from a variety of backgrounds. You will find students who just finished their undergraduate degree and decided to immediately pursue a post-graduate program, students who are pursuing the degree in order to advance beyond the pure technical role they were in, and students who do not have a strong background in information technology and are looking to switch careers. Though professional experience is not compulsory for this program, some universities may suggest that you have some experience before applying. You will find that the majority of your MIS classmates are between 22 and 26 years of age. So, what do you do after an MIS? MIS professionals are the “communication bridge” between business needs and technology. As you may have already guessed, they are in very high demand in today’s world! An MIS degree from a top school can be your ticket to the rewarding job you’ve been dreaming of – rewarding both in terms of job satisfaction and monetary benefits. According to the U.S. Bureau of Labor Statistics, in 2014, the median annual income of computer and information systems managers was USD127,640, with the middle 50% earning between USD99,320 and USD161,520. Read on for specific job roles you are likely to bag! Information systems managers are responsible for the computer systems within a company. Information systems managers are high-level executives in charge of computer- and technology-related research, development, and productivity of organizations. In today’s complex business environment, organizations need to be adaptable to constant change; traditional methods may not always help in achieving the company’s objectives. This is where business analysts come in. They help businesses implement technology solutions in a cost-effective way by determining the requirements of a project or program, and communicating them to stakeholders, facilitators, and partners. Computer systems analysts improve the efficiency of the computer systems in an organization. They analyze user requirements, procedures, and problems, and automate or improve existing systems, and review computer system capabilities, workflows, and scheduling limitations. Toward this end, they introduce new and improved methods that further optimize the resources of existing systems, or they develop entirely new computer systems using different hardware or programs. Data analysts collect, process, and perform statistical analyses of data. Their aim is to discover how data can be used to answer questions and solve problems. With Big Data Analytics coming to the fore, data analysts have never had it so good! A systems analyst is a person who uses analysis and design techniques to solve business problems using information technology. Systems analysts may serve as change agents who identify the organizational improvements needed, design systems to implement those changes, and train and motivate others to use the systems. Applications developers translate business software requirements into workable programming code and maintain and develop programs for use in business. Job titles and specific duties may vary between organizations but the role usually involves writing specifications and designing, building, testing, implementing, and sometimes supporting applications using programming languages and development tools. An IT consultant works in partnership with clients, advising them on how to use information technology to meet their business objectives. They work to improve the structure and efficiency of IT systems in organizations. As Development Leader/Manager, you have a number of responsibilities, but the primary one is to get a product out the door. Your goal is to deliver results to the customer or market, and to do everything necessary to achieve them. You need to make sure the development team is able to work efficiently, and this means making sure they have clear short term and long term goals, and that nothing prevents them from doing their work. A business intelligence (BI) analyst is a professional role where the individual is responsible for analyzing data that is used by a business or organization. Data used in BI generally supports decision-making. The BI analyst works with this kind of data to maximize its utility. There are many universities in the US that offer this program. MIS is offered through B-Schools as well as through schools of Information Studies. See Top Ten Universities for MIS Programs in the US for more information. As MIS is an integrative field, the eligibility net might be a wider one than for other purely technical or business courses. Some schools may require you to have a degree in Information Technology at an undergraduate level. However, in certain other schools, if you do not have a background in IT, it is still considered as acceptable. You will then be provided the option to take certain extra courses after joining. Also, a year of work experience will give you industry exposure, and some schools may consider that this will help you contribute better to the class. So, whether required or not, a little bit of industry experience can increase your chances of getting an admit. To get into a top school for an MIS program, you will need a GRE or a GMAT score. Look up the school’s website for particulars as to which test is accepted and what the average accepted score is. When it comes to preparing for the exam, you will find that there are plenty of online resources to help you! Make sure that you check out forums such as BeattheGmat, GmatClub, MSinUS,Thegradcafe and of course, Quora! Most schools require you to take a language course like TOEFL or IELTS. For the U.K., TOEFL test scores are accepted for Tier 4 student visas under certain conditions. IELTS is recognised by universities and employers in many countries, including Australia, Canada, Ireland, New Zealand, the UK and the USA. The perfect score for the TOEFL iBT is 120, with 30 points for each of the four sections. The perfect score for the IELTS is a 9. Both test the four main language skills: reading, writing, listening and speaking. They are both standardised tests which- in theory- means that the scoring is consistent throughout the world. Do not worry too much about your preparation for the TOEFL and IELTS. Your preparation for the GMAT or the GRE should largely suffice. Just devote an additional week to your TOEFL/IELTS, and you should be good to go! Here are some tips to help you prepare for the TOEFL. International B-Schools measure your academic performance through your Grade Point Average (GPA). Find out the standard requirement of your school before you apply. However, do not, we repeat, do not try to convert your score into a 4. GPA. The college will take care of that. Also, graduate-level entry into international B-Schools requires the completion of a Bachelor’s degree or equivalent from an internationally recognized institution. When in doubt about your academic suitability for a program, we recommend that you directly reach out to the college Admission Committee (AdCom) rather than relying on the opinions of your friends or acquaintances. You definitely do not want to go all the way with your application process, only to find out that you do not meet the academic criteria. Your statement of purpose (SOP) is very important when it comes to your admissions. When writing it, make sure that it brings out your experience, abilities, and qualifications in the field. Highlight your career goals, and your reasons for choosing to do an MIS program. Make your SOP heartfelt and authentic; do not to make it a cookie-cutter SOP that anybody could have written. Your SOP must convince the AdComs that you are a great fit for their program. Here are some great tips to write a great SOP. If you are not sure whether your SOP ticks all the right boxes, get it reviewed by a professional consultant. Your resume provides the AdCom with more data-centric information than what is included in your SOP. A good resume will talk about your educational qualification, extracurricular activities, and your professional experience, if any, in a concise and presentable format. Crispness and specific detail are at the core of a great resume. Remember that each word in your resume has to carry value. Also, remember that each bullet point in your resume has to convey impact. Therefore, do not just focus on what you did, but what impact was achieved as a result of what you did. Contact a professor or a boss whom you have worked closely with and who knows you well enough to write a detailed, authentic recommendation for you. A recommendation letter does not just furnish details about your job or academics, but also provides insight into your personality and character. It is a testament to the skills that will matter in the academic course you are pursuing. One crucial thing to remember, that many aspirants get wrong – Approach your recommenders well in advance! Give them time to construct their thoughts and put them on paper, and give yourself the time to review the recommendation. Almost all schools will require an interview round once your application has been selected. However, do not wait until then to prepare for the interview. Do some research in advance on the kinds of questions asked and the kind of responses expected. Get help from experts to prepare for your interview. Now that you know which schools you want to apply to, and what you need to do to apply, let’s tackle the all-important hurdle on the way – Financing your MIS! There are many ways to fund your MIS program. See Funding Your MIS for more information. 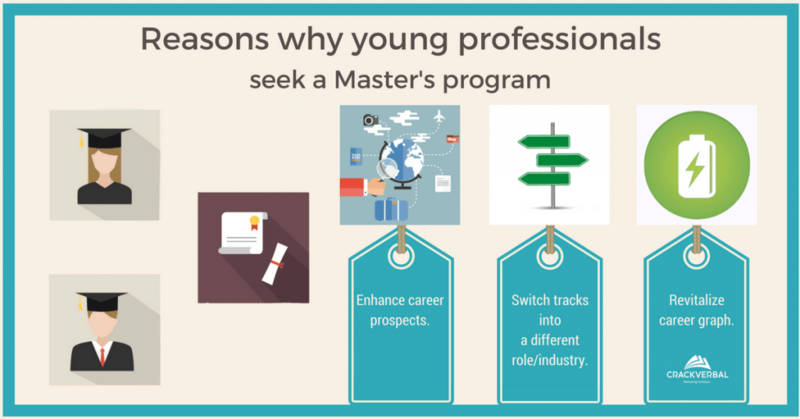 Now that you know what a Master’s in MIS program is all about and what career options open up to you after completing an MIS, we hope you’re closer to making up your mind about the MIS! Are your considering applying to an MIS Program? If you want personalized feedback on your profile, reach out to us! As part of the screening process, you will be required to submit an online application that includes an Essay and your personal and educational details in Stage-1. Once short-listed, you will be required to submit your GMAT or GRE scores in Stage-2, and appear for an on-campus selection process in Stage-3. In this blog we will focus on how to answer 2016’s essay topics for the Young Leadership Program – ISB. Write about an incident or set of incidents in your life that had the most profound influence on you. While writing this essay briefly mention the incident and the impact it has had on your life. Remember that you have a maximum of 300 words to write this essay. If you follow the structure given below, you should be on your way to getting to the next round. Let us take an example so it is easier for us to work through this framework. Let us say you want to talk about your experience of organizing your college cultural event. Give the reader a background so he/she can better understand the scale involved, how many people were going to turn up, how big were the stakes, what was the reputation of the event, and what impact it was going to have. Now you have given them a strong introduction. There are other ways to make a similar impact such as starting with a quote, or with a line someone said to you, or with a situation. However, the important point is that the introduction should give the reader the context. This is where you need to explain what specific role you had to play in the larger objective. Don’t try to play “Rambo” by saying you did everything single-handedly. Instead, focus on your role within the larger context of things. You have given a good idea about the challenges you faced. This should be the point that should whet their appetite for more. As mentioned earlier, try to be as specific as possible, including putting out figures, numbers, etc. Here is where you need to say WHAT you did and also WHY you did so. The idea is to show how you executed the task assigned. Focus on the details that show how you handled challenges. This is where you showcase your leadership abilities. If you notice, the above paragraph touches upon both the points (a) said WHAT was done, and (b) HOW it was done. A mistake here is to get into the details. Since there are only 300 words overall try to keep it as short as possible. More details can be given, if asked, at the interview stage. Here, focus on the result of the action performed above. You should focus on the success (or even the failure) of the action. What is important is you give a very clear idea of outcome through data rather than any perceived reasons for success/failure. In the paragraph above, there is a clear success story but it is articulated using numbers, as well as intangibles, i.e., a new set of companies. This is an important point that many people miss out when writing such essays. The difference between a good and a great essay is how you are able to show your own learnings. If you don’t mention this, you have not answered the initial question. It is time to get personal by reflecting on self-growth. “This experience has had a profound effect on my confidence level. I can say that I am a different person from who I was three years ago. When faced with a challenge, I tell myself “I have done this before, I can do it again“. This perhaps is the same feeling an Indian batsman feels when he hits century on foreign soil. More than the accomplishment itself, it is the sense of confidence it gives him. I think the human mind works best when we are in a positive and happy state of mind. Whenever I feel stress, I go back to this time and I suddenly feel a gush of energy and a sense of accomplishment. In no time I feel renewed. If you’re comfortable talking about yourself and have a moderate level of self-awareness, this is an essay prompt you’ll find very easy to answer! On the other hand, if introspection is not really your thing, you could be losing sleep over this essay. Don’t worry if you belong to this lot – once you get past your initial block and get into the groove, this can be a very enjoyable essay to write! Read on to structure your thoughts before you tackle this essay! ‘I was 12 when I first stood in front of a large audience and delivered an impromptu debate. I felt exhilaration course through my body as I spoke with gusto and passion and felt the audience respond. When I look back, I think that this was when I realized how much I loved influencing people through communication’. Before you begin writing this section, list down five to ten characteristics you’d like to communicate about yourself to the ISB AdCom. These traits could be a mix of personal qualities (for example, diligence, ambition, resourcefulness) and interpersonal behavior (for example, empathy and the ability to influence others). Next, carefully examine the list and narrow it down to the top three things you wish to say. Why three traits? Because you have roughly 120-150 words at your disposal – if you write about too many things, you may end up saying too little about individual traits. If you write too few, you may come across as someone who doesn’t have much to say about himself/herself. Now, substantiate these three traits with corresponding actions you have undertaken. If you have stated persistence as one of your key traits, this would be the place to talk about how you got better at martial arts in spite of being sickly and low on stamina for many years. If a strongly developed civic and social consciousness is a key trait of yours, here is where you talk about your involvement with a local NGO or civic body. Here’s a neat way to round off this section – explain how these traits have led you to your career goals (if you do not have a very decisive goal yet, a general career direction) and thereby your decision of pursuing the ISB YLP program. Now, here is where you display your awareness of your current limitations, and your game-plan to overcome them! Who do you wish to become in the next 3-4 years? What is stopping you from already being that person? What skills do you think you will need to develop in order to succeed? What personal attributes do you feel are holding you back? Again, make a list, and taper it down to two traits/skills. When you narrow it down, keep in mind that there ought to be specific traits that you can really learn from the ISB YLP program. For example, if you want to learn how to build a professional network… this is a good skill to put down because it is something the YLP can actually teach you through a variety of experiences. However, if you’re looking for life lessons on how to become a happier person or a more focused person, even the best MBA program in the world won’t teach you that. Be optimistic, but realistic! Once you have fixed on the traits that you wish to develop, it is important that you tell the AdCom how you think you will learn each of these lessons. What experiences does the YLP offer that could possibly shape you? Think about all aspects of the program… the people you will get to meet and share experiences with, the professors you will learn from, the clubs and initiatives you will participate in and the seminars you will gain insights from. “Do NOT bluff on your essays. Also, do NOT exaggerate either. Remember that the people reading your essays are veterans and can easily see through these things”, says Rijul Jain, who graduated from the ISB YLP program last year. Click here to know more about how he got his admit. Darshana Sivakumar says, “After taking up the GMAT, I penned down my essays. That’s when I decided to approach CrackVerbal, to see if I was moving in the right direction. It’s very important to be original in the essays and not let other people influence what you have to say in them. However, it is also important to get feedback on what you are missing and how to improve. The CrackVerbal team did a great job at that!” Read more about Darshana’s journey here. If you found the above analyses useful, please let us know by sharing it with your friends and commenting below. You probably have just completed your undergraduate degree ( or are in the process of completing it) and are debating on whether to work, or pursue your masters in a university outside India or in India, right? Well, there are a few great universities in India, but if you have done your fair share of groundwork, you probably know that a lot of students today opt for a Masters degree outside the country. For example, in the social sciences and humanities, there are a small number of respectable departments in India, but absolutely none that are considered by international experts as in the top class of academic programmes. what if you choose to study abroad instead and have 10x times better exposure there than you would have otherwise? Addressing the most basic question you probably have – yes, quality of education is your primary concern. Choosing to take up a masters degree in a university outside India increases your chances of picking a niche major that may not be an option if you study in India. Immersing yourself in an education system – something different from what you’ve done all these years, is a great way to experience and understand how the country’s economy functions. That said, academics is only one of the aspects that make a university exceptional. Things like infrastructure, cultural diversity (foreign students) and post-education employability are all very important contributors that define how good a university is. India has only a handful of universities that offer an exceptional experience – and your odds of actually making the cut? Universities abroad provide a great learning experience and your odds of getting into one of the better schools there are much higher than trying your luck with getting admitted into a premier school in India. University of Oxford – 38% of the total number of students are international students, representing 140 countries between them. Stanford University – Stanford has more than 16,300 students, 2,180 faculty and 1,800 postdoctoral scholars. The school enrolls students from all 50 U.S. states and more than 90 other countries. The alumni include 17 astronauts, 18 Turing Award recipients and two Fields Medalists. Companies founded by Stanford affiliates and alumni generate more than $2.7 trillion annual revenue, which would be the 10th largest economy in the world. Harvard University – Harvard has connections to more than 45 Nobel laureates, over 30 heads of state and 48 Pulitzer prizewinners. It has more than 323,000 living alumni, including over 271,000 in the US and nearly 52,000 in 201 other countries. Of course, every one of them have worked really hard and earned their way over there. But studying in reputed international institutions definitely gives you the upper hand. If you want to specialize in something that isn’t that mainstream like “Game development” or even something as esoteric as “Music theory”, you will most probably find a university abroad that provides such specializations. For instance, the University of Southern California provides a Masters in Game Design and the University of Boston provides a Masters of Music; mind you, there are many other universities in the US that provide these specializations too! In other words: if you’re looking to specialize in a field that isn’t too mainstream – you’ll probably find a good college that offers such a program in the US! Another aspect you can probably keep in mind – the duration of your master’s degree. Or, do you prefer the idea of having a summer holiday during which you can do an internship, or just go back home for a break? Are you looking for a part-time degree and work at the same time, because going home isn’t really an option? You will find a program that suits you but make sure you do your research. One of the criteria that a university is ranked on is student diversity (religion, culture, and ethnicity). Living abroad means you will have to accept an unfamiliar environment, cultural ways, new traditions and most importantly – a new language. What better way to broaden your knowledge than to gain ideas shaped by unique international perspectives you may not have considered before? You’ve probably spent most of your life living in the country – India. And, that makes your knowledge and exposure towards foreign cultures and traditions – pretty limited – well, apart from the content you have absorbed from TV series/movies! These differences result in a diversity of ideas, knowledge, and world-views that enhance education and preparation for work in a global economy. When studying masters abroad you will invariably interact with a diverse set of students and this would indelibly alter you: your perspective will become broader and more global. Living with your fellow-peers might be a little hard at first, but it usually works out well! It will help you gain insight into their way of life. Imagine how great it will be to have international friends for life! And having them around means more benefits for you – say you want help with a job, or moving into the city, or maybe that friend of yours becomes the next Steve jobs – you never know! The fact is that the curriculum and the approach to education abroad for postgraduate courses is so much more relevant to the skills and perspectives required by industries in the global market. Universities abroad tend to have much better infrastructure that possess contemporary and even cutting-edge facilities. Add to the fact that studying masters abroad opens up the opportunity to intern with the greatest, paradigm-shifting companies like Apple or Facebook. These factors along with so many more that are unique to doing a Post Graduation abroad cumulate to make you a very desirable candidate for the best companies in the world. Moreover, if you want to settle in the country you choose to study in, the best way to get yourself there is by doing a masters degree in that country. Your school will definitely have a recruitment program – where your chances of employability are higher! Holding a masters degree from an international university means you are willing to put in the effort to travel. That itself says a lot. Employers will understand that location is not one of your major concerns. Plus – where you graduate from will also display a strong front. Apart from that, if you are in an international university, you have had the exposure to diverse platforms – sports, education, clubs, field work, summer volunteering – to name a few. Erasmus Student Network and AIESEC itself will most definitely stand out in your portfolio. The job hunting process can be extremely fierce and competitive, particularly for recent graduates without experience. If you wish to come back to India, you can think about starting a venture of your own, if not, your CV will hold enough value to land you in a good-paying, high-profile job! For Indians, here’s some motivation to get you going! Ratan Tata: Chairman Emeritus of Tata Sons, B.S. in Architecture from Cornell University (1962), completed the Advanced Management Program from Harvard Business School in 1975. Kapil Sibal: Science and Technology, HRD, IT and Communications, and Law and Justice. He holds an LL.M. from the Harvard Law School. Arun Shourie: As Editor of Indian Express,Arun Shouriewas the media’s greatest warrior against the Emergency, declared by Indira Gandhi, in 1975. He was Minister of IT and Communications in Vajpayee’s government. He holds a doctorate in Economics from Syracuse University, New York. Rahul Bajaj: The Chairman of the Bajaj conglomerate, is an alumnus of the Harvard Business School. Dr. Manmohan Singh: The two-term Prime Minister of India holds an Economics degree from the University of Cambridge, UK, and a D.Phil. in the same subject from Oxford University. Romila Thapar: Professor Emerita at Jawaharlal Nehru University, Romila Thapar is a renowned historian and author of the classic A History of India. She holds a doctorate from the School of Oriental and African Studies, University of London. It’s no doubt that you will meet people from all across the globe – it is an international masters degree after all. But what you do with building those contacts – matters. There are plenty of international student networks like Erasmus Student Network and AIESEC, that offer diverse networking and socializing opportunities – events, conferences, team-building activities are a few amongst the many things that these student networks participate in. And then there is always Facebook, Twitter, Quora and LinkedIn to get in touch with your alums, faculty, and even your classmates. Just having them on your list gives you the liberty of getting in touch at any point of time! Connecting with people through these networks enhances your chances to connect with the locals more easily – say for an internship, part-time stint, or even a future job! You may also have an opportunity to meet company heads/representatives at career fairs, college fests, or maybe guest faculties who come in to talk about specific case studies. Here’s a small tip that might help build your contacts – join an in-house student club, work on becoming a student ambassador representing your college, take part in sports, and other extracurricular activities. Now, if your academic grades until your bachelors are worthy, the chances of getting a scholarship is super high – obviously this also depends on how you frame your applications – but grades do matter! Scholarships come in different formats – merit-based fellowships, scholarships offered by universities: academic excellence, students have to be under a certain age limit (for example under 25 years of age), government-funded scholarships, sports scholarships, need-based scholarships (grants) and student loans. Or maybe you could apply as a research assistant! Students with an assistantship are obliged to carry out specified teaching and/or research activities, stipulated in a contract. If you have work experience and are really really good at your job, you can maybe persuade your employer to sponsor your education! If you want to Get your profile evaluated at a preliminary stage, we’ll help you out, for free! And remember, it’s not just the tuition fee you will be bearing – consider your stay, food, travel and any other miscellaneous expenditure! A degree anywhere outside India will open doors to full fluency, as well as the cultural fluency necessary to do business in foreign cultures. If you are planning on settling in the same place you’re going to be studying, knowing the local language is a must! And think about it, your portfolio will be far from just academics! And that is always a good-to-have factor. You can never translate verbatim from language to language – the essence of what you want to say will be lost. Hence, if you want to effectively communicate – living in that particular language environment will put your skills to good use. It will help develop your skills and learn characteristics of that new language. In addition to the considerable language practice, you will get just in day to day life, your host university will likely offer language courses to provide you with a more formal education. – it’s done before you know it! You’ll have so much fun and you’ll get back home with lots of unforgettable memories. Doing your master’s abroad will increase your confidence because not only have you conquered your fears, but also acquired lots of knowledge and experience. Are you among the elite few undergraduates who have managed to impress the admissions council of the Indian School of Business, more commonly referred to as the ISB? Congratulations on clearing the first barrier! If you have managed to make the admissions team to sit up and take notice of your profile- a 90 second video and an essay- just imagine the impression you can create with phase-2 of the selection process! Do I hear some groans? We, at CrackVerbal, believe in making life easier for applicants and so, here is a quick list of all the things you should be doing to gear up for ISB YLP stage-2! First up, you’ll need to know WHAT EXACTLY level-2 of the ISB YLP selection process entails! We have compiled a possible list of questions that might be playing on an applicant’s mind. Q: I have been shortlisted for the Stage-2 of the selection process by ISB for the YLP program. So, what happens next? Q: You mean I have to take the GMAT? What is the GMAT? A: Yes, you do. And you have to take it fast- the deadline for submitting your application for stage-2 is August 7th 2012. This means you need to act fast and book an appointment to take the GMAT asap! Q: I have to “book” an appointment to take the exam? How do I do this? A: Don’t you worry, for any queries that you might have regarding booking a date to take the GMAT, read our article which contains a step by step guide to book an appointment for the GMAT. Click here. Q: Ok, so I can book the appointment now, but, the GMAT is another exam right? What is the GMAT all about? A: Yes, it is yet another exam. However, it is unlikely that the GMAT is like any other exam you might have had the opportunity to take before! First of all, download our free e-book here! To know about the details of the exam, click here. Q: So now I know all about the exams, but, preparing for such an exam is a different ball game altogether, right? Phew, I am just exhausted thinking about it! A: Don’t be! Again, we have it simplified for you. Preparing for the GMAT is certainly a different ball game, but, we at CrackVerbal have a few time-tested tricks up our sleeve! To know more about the preparation strategy that we recommend for the GMAT, click here. Q: Alright, so what about material? Where do I go and what do I buy? A: WAIT! Before you resort to buying (or downloading, as the case may be J ), do take a minute to read what the experts say on the best books for the GMAT! Q: I guess I got many doubts regarding the GMAT clarified, but, what about evaluations? Whom do I get them from? Q: I still have one problem- ESSAYS! I would love to get some feedback on the essays I have written! Do you have any suggestions on that front? A: Of course, we do! Check out our blog on a detailed Essay Analysis of the ISB YLP essay prompts. Want to know more about ISB? Click here to know more! Wondering if you can make it to the ISB? Let us help you!